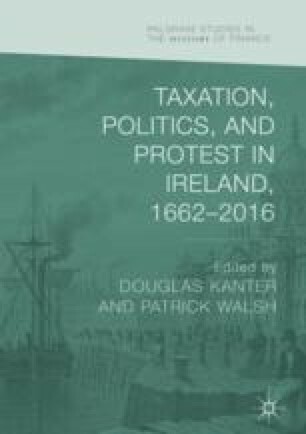 This chapter uses the ephemeral campaign against over-taxation, 1863–65, as a window onto the politics of Irish public finance in the mid-nineteenth century. It identifies the influences that encouraged the tax protest, analyses the organisation and geography of the agitation, and reappraises the case against post-Famine public finance in order to recover an alternative Irish fiscal policy. By demonstrating that grievances concerning taxation were subsequently incorporated into the home rule movement, it concludes that a long-forgotten campaign for tax reform had significant consequences for late Victorian and Edwardian politics.